﻿ Actually, Dinosaurs Probably Didn’t All Have Feathers - Zigong Dinosaurs World Science & Technology Co.,Ltd. Roughly twenty years ago scientists started uncovering the first firm evidence of feathered dinosaurs. 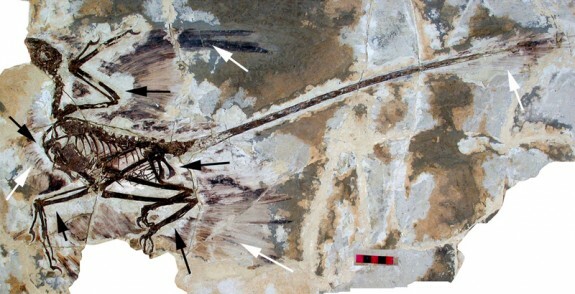 From digs in China, and then elsewhere, fossilized feathers started to crop up in the palaeontological record. Soon, it seemed, feathers were everywhere; adorning the bodies of not just the ancient relatives of modern birds, but long-lost and genetically disconnected groups of dinosaurs as well. The final blow for feather-free dinosaurs seemed to have come in July of last year, when a new study reported that the ancestor of all dinosaurs may have sported fuzzy plumage. It took a long time for the idea of vibrant, colorful, feathered dinosaurs to supplant the idea of the scaled killer in the public’s imagination. But, it seems, some of this new-found enthusiasm may have been misplaced.